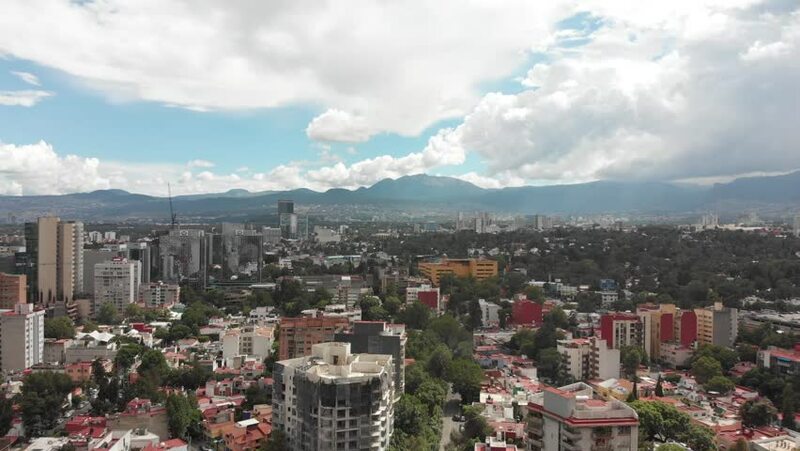 Aerial panoramic view of Mexico City with drone flying forward in a very clear day with views of the skyline. 4k00:16Time lapse urban scene of capital city from aerial view. Skyscraper view from high place. Rapid urban development of capital city panorama. Moving cloud at background. Beautiful lights and blue sky.